Here are the some of the best Alarm Clock Apps for Android. 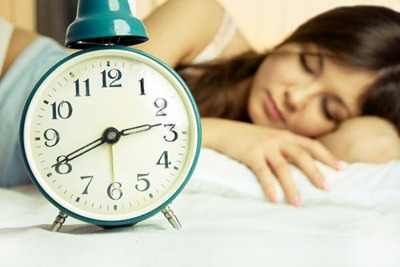 Most of us have been in such situation when we automatically switch off the alarm clock in the morning, and after that we go back to sleep, thus oversleeping the work or university or wherever we should go. In order to prevent such situations we need to use efficient alarm clocks. Fortunately, Android developers have similar problems and have already come with some solutions. 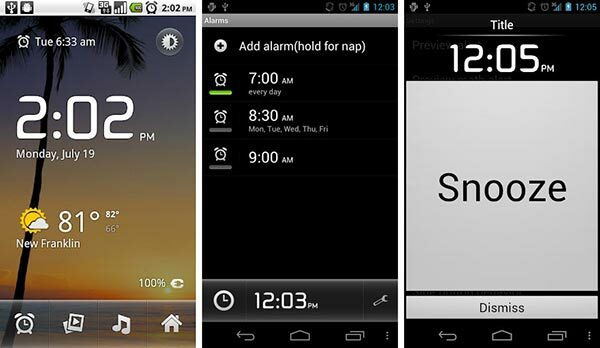 So here are the most interesting Alarm Clock Apps for Android users. It is a powerful but at the same time pretty simple alarm clock for Android devices. Its functions include: unlimited number of alarm clocks, soundless mode, snooze, alarm auto switch off, nap alarm mode and others. A couple of words about them. Interface of the app is presented in the form of a board where you see a clock, current date and the list of alarms set. Below the board there’re 4 hot keys which you may associate with different actions. If you press a special key on your smartphone a functional menu will appear which has points optimizing your work with the app. Alarm clock. This section lets us working with the list of alarm clocks, create new ones with the parameters we need. White Nizzz provides Internet connection and updates for the app. Settings. Here we’ll find the main settings of the app and all the information about it. The app is free for download from Google Play. Other advantages are unlimited number of alarm clocks and a lot of different modes for the program. Everyone wants to sleep well, but sometimes we can’t do it due to shortage of time for sleep. In such situation we want to sleep another 5 minutes after we turned off the alarm clock. Sleep as Android app will open to you the secret of a good night sleep. It is scientifically proved that during sleep a person is within one of the two sleep stages – deep sleep stage or short sleep stage. These two stages interchange during our sleep. Your good mood and general state depend on what stage you woke up. If you wake up during short sleep stage then you feel good and wake up easily. And vice versa, if you wake up during deep sleep stage, then you wil feel tired and sleepy. Sleep as Android app uses these peculiarities of human’s sleep and tries to make your awakening easy and pleasant. The mechanism of the app is based on the fact during short sleep stage a person moves in bed. With the help of accelerometer you smartphone may tell the program which sleep stage you’re in. in order to do that you need to set alarm clock for the time you need to wake up, turn on sleeping mode and put your device on a pillow or anywhere near you. By default time period set for awakening is 30 minutes. That means that if you set your alarm clock for 7 a.m., then the app will wake you up between 6.30 and 7 a.m. This is due to the fact that in the morning the sleep stages change approximately every 30 minutes. In the app you may set up the volume of the alarm ringtone and make it sound gradually from low to loud. If you think that you still may oversleep then you may set either mathematical puzzle or captcha you need to solve in order to turn the alarm clock off. There’re other settings that will help you to make your awakening easier. It won’t be difficult for you to understand them as they are provided with descriptions. The app is free wand that is another big plus for it. Alarm Clock Xtreme Free application has a lot of functions. You may work out the process of your waking up in a very detailed way – choose the action for turning the alarm clock off, the variant of delaying the alarm clock, time, duration and volume of the melody chosen for the alarm clock. The number of alarm clocks is unlimited. The app is rich with settings: apart from general settings typical for all alarm clocks, you’ll find the settings for customizing the skin of the app. Apart from that, there are a lot of ways how not to turn off the alarm clock automatically: from puzzles you need to solve to connection to auto-cradle. Additionally, you may set such an option that will let you shake the device in order to delay the alarm. So which Alarm Clock Apps for Android you use daily? Do you know more Alarm Clock Apps for Android? Share with us via comments below. HTC Butterfly S Review – Bigger than the Butterfly but is it Better?